Vishnu Hilariously Trolled Arya After The Official Confirmation Of His Marriage !! ROFL !! Vishnu says Arya is the second goat which goes in the way of first goat actor Vishal who fell into the trap called “Marriage”. As everyone know, Vishnu, Arya, Vishal, Vikranth, Jayam Ravi are the closest friends group in the Kollywood industry more than any groups. At that time Arya trolled back Vishnu by saying that before himself Vishnu will the scapegoat for the second time as he divorced his wife last year. 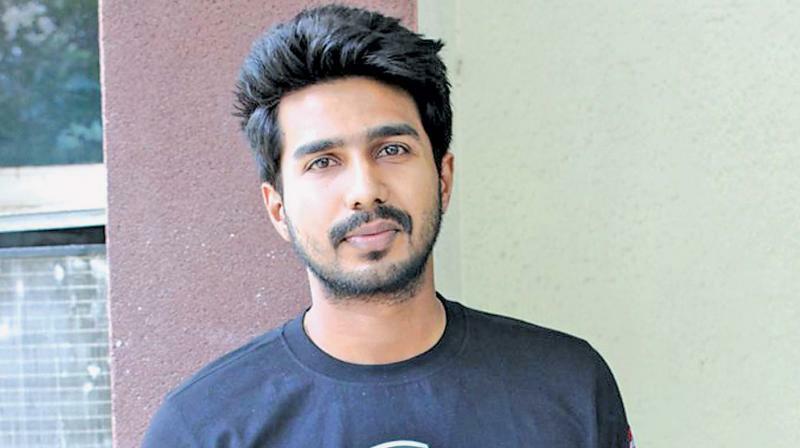 Vishnu Vishal is an Indian film actor and producer who has appeared in Tamil language films. He started his acting career in the year 2009 playing the lead role in the sports film Vennila Kabadi Kuzhu, winning acclaim for his portrayal. Vishnu won further acclaim for his role in Neerparavai (2012), portraying a fisherman. He has had for praise for to his performances in psychological thriller film, Ratsasan. Coming back to Arya and Sayyesha’s marriage update the actors confirmed their marriage news as real and updated that the big event is planned to be held on March. Both the actor and actress posted it in their respective twitter accounts on this special day of Valentine’s. Arya and Sayyeshaa reportedly grew close on the sets of their 2018 movie Ghajinikanth and are now ready to begin a new chapter of their lives together. Sayyeshaa is the grand niece of veteran actors Dilip Kumar and Saira Banu. He mother Shaheen Banu had apparently extended warm hospitality towards Arya during the time he was busy filming the foreign schedule of the KV Anand-directed Kaappaan, which suggested that Arya was now a part of the family. What do you think on Vishnu’s tweet ?? Do marriage really that dangerous ?? Comment your views below !! Previous articleFinally Arya & Sayyeshaa Opened On The News Of Their Marriage !! Check Abarnathi’s Reaction !! Next articleFinally Dinesh Karthcik Hits Back All The Criticisms For His Decision !! Check What He Has To say ! !